Sgt. 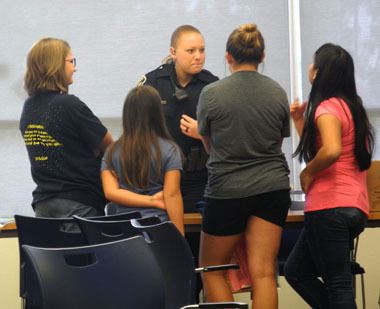 Chantel Longway of the Artesia Police Department speaks to a group of girls about her career in law enforcement during a Career Night held last week at the Artesia Public Library. The event was hosted by the Girl Scouts of the Desert Southwest and featured local women working in a wide variety of professional fields. For more information on the Girl Scouts, contact membership manager Maria Landrie at 746-9846.